There is no doubt; the Unites States Federal Bureau of Investigation (FBI) has been a number 1 enemy of Black America. The crowning achievement of the FBI’s COINTELPRO (counter-intelligence) program, during the 60’s, were the assassinations of Rev. Dr. Martin Luther King Jr. and Malcolm X. A new film called “Betty and Coretta” that is airing on the Lifetime network is working really hard to deceive the public. This oddly timed film features the wonderful R&B singer Mary J. Blige portraying the legendary Mrs. Betty Shabazz. The writers of this film include in its script accusatory words coming from Mrs. Shabazz, portrayed by Mary J. Blige, that Minister Farrakhan was responsible for her husband-Malcolm X’s death. The desire of the writers and producers are to destroy the magnetism of Minister Farrakhan among a new generation of Black youth that are discovering the living legend for the first time for themselves on college campuses and in the streets of the hood throughout America. This film is a weak attempt to derail Minister Farrakhan’s momentum. What do they want to derail, you might ask? Minister Farrakhan at nearly 80 years of age is more prolific than ever. He has recently toured the Caribbean nations addressing the governments, professional groups and youth groups. In 2012 Minister Farrakhan visited major historically Black college campuses and even delivered a major address at the University of California-Berkeley. 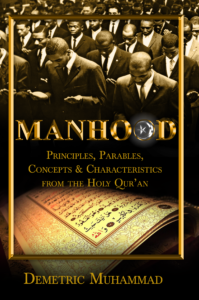 During the heat of the summer, Minister Farrakhan mobilized the Nation of Islam’s men’s class, known as the Fruit of Islam, into the streets of Chicago and America’s major cities on a peace in the streets mission. And in January of this year Minister Farrakhan began a 52 week webcast lecture series entitled The Time and What Must Be Done. These are all activities that have historically been fought by the United States Federal Bureau of Investigation (FBI). J. Edgar Hoover used untold sums of tax payer dollars to wage a war against all Black Nationalist Groups. His stated goal was to prevent the rise of a Black “messiah” who could unite Black America in a bond of brotherhood and strength. Minister Farrakhan is the modern equivalent of what Hoover feared would happen 40 plus years ago. This film “Betty and Coretta” that disrespects and mocks the great legends of Black History is straight out of the FBI playbook. It is a “friendly media” documentary that aims to ruin the Nation of Islam. But this isn’t the first time that the NOI has been under attack. It is a well- known fact that the long term leader of the FBI, J. Edgar Hoover was a member of the Masonic Shrine. The Masonic Shriners are largely Christian white men who occupy powerful and influential positions within business, government and academic fields. They are students of the Bible, Holy Qur’an, World History and Prophecy. They are particularly known for their private veneration of Prophet Muhammad and the early history of Islam as a world conqueror. Hoover’s Shriner membership sheds light on his use of the word “messiah” in his infamous COINTELPRO memo. For in both Bible and Qur’anic prophecy, the Messiah is born from and is a blessing to the Children of Israel. The Messiah is to be a man like Moses. Moses liberated the enslaved Hebrews out of Egypt in the Biblical narrative. This led to the destruction of the Egyptian way of life and economy and produced the end of the rule of the wicked Pharaoh. Ward Churchill and Jim Vander Wall write in their excellent expose The COINTELPRO Papers the following conclusion about the assassination of Malcolm X. This conclusion is informed by their meticulous research of the available documents on the nefarious government sabotage of Black movements. By the point of Malcolm’s assassination during a speech in Harlem on the night of February 14, 1965, the FBI had compiled at least 2,300 pages of material on the victim in just one of its files on him, the NOI and the OAAU.” Malcolm X was supposedly murdered by former colleagues in the NOI as a result of the faction-fighting which had led to his splitting away from that movement and their “natural wrath at his establishment of a competing entity. However, as the accompanying January 22, 1969 memo from the SAC, Chicago, to the Director makes clear; the NOI factionalism at issue didn’t “just happen.” Rather, it had “been developed” by deliberate Bureau actions – through infiltration and the “sparking of acrimonious debates within the organization,” rumor-mongering, and other tactics designed to foster internal disputes – which were always the standard fare of COINTELPRO. The Chicago SAC, Marlin Johnson, who would shortly oversee the assassinations of Illinois Black Panther Party leaders Fred Hampton and Mark Clark, makes it quite obvious that he views the murder of Malcolm X as something of a model for “successful” counterintelligence operations. This may be a shocking conclusion, but it is the right conclusion. The FBI considered the assassination of Malcolm X a model for “successful” counterintelligence operations. And using Malcolm’s assassination as a model, they proceeded to work to assassinate Fred Hampton and Mark Clark of the Black Panther Party! 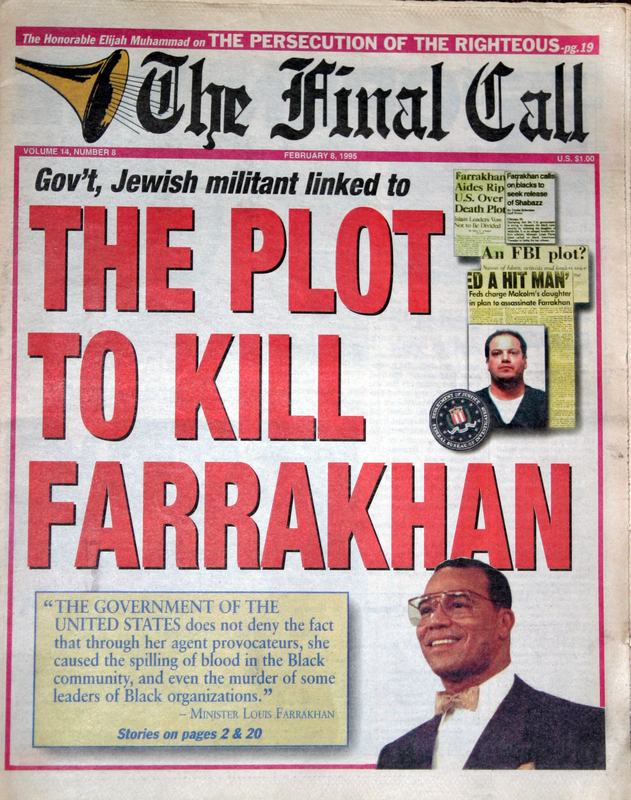 They hope that they can assassinate Minister Louis Farrakhan. But Minister Farrakhan is a divinely guided man and a divinely protected man. He is completely innocent of Malcolm X’s assassination. The FBI infiltrated and produced division within the Nation of Islam and worked diligently until their intended goal was achieved.